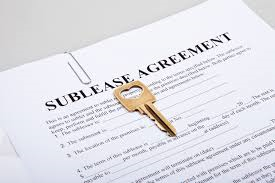 The term of lease. We toured a space yesterday being marketed for sublease. A decision to vacate prior to the expiration of the lease was made by an occupant whose corporate headquarters are out-of-state. Now fifteen months remain on the lease obligation. Akin to a well shopped clearance rack at Nordstrom - the short term will appeal to very few occupants. You see - generally - a three to seven year term is sought by prospective tenants. A move is expensive, disruptive, and quite inefficient. Most are unwilling to move only to do so again a year later - if extension terms can’t be reached with the owner of the building. Uncooperative owner. Owners ride the length of their leases through market swings. In the example above - additional years could be tacked onto the fifteen months - if - the owner will play ball. Where we are in a market cycle - up or down trending - can predict how a landlord will react to a request for a longer lease. If our market is improving - he has no incentive to strike today. Storm clouds on the horizon? Yes! Let’s deal. No concessions. A tenant with remaining years on their lease wants out - as quickly and cheaply as possible. Consequently - requests for changes to the space - at the tenant’s expense - are not typically on the table. Furthermore - most occupants - who have vacated - are not interested in investing to re-furbish the interior. Therefore - a sad, worn out building greets prospective occupants. Not terribly inviting. Credit of the occupant. An owner with an Amazon lease will not be terribly interested in accepting anything less. Why should he? He has Amazon on the hook. If Amazon has decided the unit no longer meets their needs and vacates - the owner can be quite selective in backfilling. An above market rent. Any lease in SoCal originated after 2015 will most likely be above the going rate today. So grouped with your amazing credit, a short term lease, an uncooperative owner, and an unwillingness on your part to paint and carpet - you could be stuck. So what’s the answer? Conduct a fire sale of sorts. Take a look at what you owe and figure 75% of that amount. Now market your sublease at that reduced rate. You might just find that unicorn willing to transact.